Crafters create projects with yarn at the Art Dept. in Fishtown. On Wednesday, Jan. 13 the Art Dept. in Fishtown is pairing crafts with cocktails. Guests are invited to either bring their own knitting projects to complete or be given a discount on shop supplies to start a new one. No experience is necessary to participate. The signature cocktail of the night will be a hot toddy, a drink that combines honey, whiskey and tea. 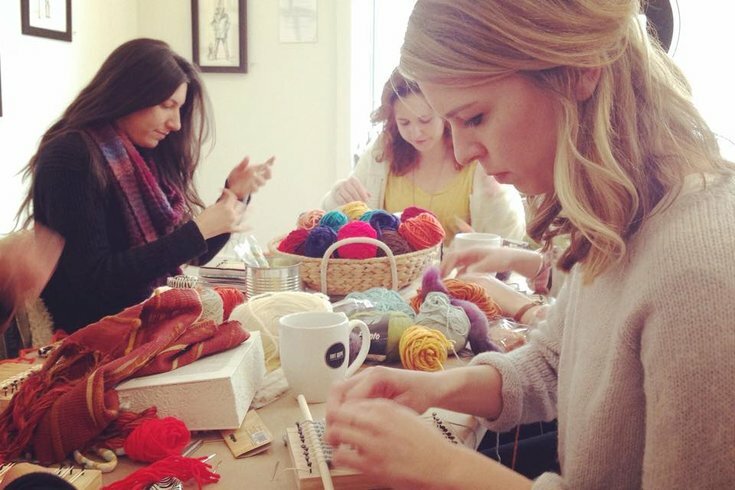 Guests will learn how to create the concoction, then can sip and knit through the evening.